Corsica may be a substantially sized island floating in the Mediterranean Sea, but its blended culture belongs to a divided history between France and Italy, much like the chain of rugged mountains that trails through the land itself. 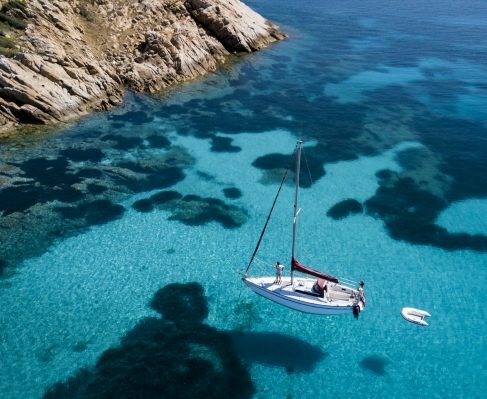 Unlike other hot-spot destinations for yacht charters, Corsica will gift you with its European past comparable to the likes of bigger, more populous mainland metropolises, but with the backdrop of sun bathed, mountainous landscape surrounded by gem colored seas and emerald tree-lined shores. It’s as unexpected as its history itself— with architecture that feels as if you’ve found yourself in a traditional, charmingly small town. Except built on paradise, with foods that share the love of Italian cooking and fine French cuisine. You’ll never experience anything quite like Corsica, a culture that has learned to celebrate the best of itself. Visit Cap Corse, Corsica—the long peninsula that juts into the sapphire blue waters on Corsica’s northern end. From here, you’ll have to part with your private charter, but it’s worth it. Travel by car to get an up close look of the Genoese towers, where stoic monuments proudly stand alongside cafes and boutiques. Walk along Plage du Lotu or Plage de Tamarone, backed by rolling green hills. A World Heritage Site awaits you on Corsica’s west coast. It’s the Calanques de Piana, and no, you aren’t traveling through a Salvador Dalí painting. Earth-red rocks line the coastal roads and invite you into Corsica’s utterly fantastical world of surrealism. Hike, walk, or explore by boat. Here, the island feeds itself. Charcuterie reigns supreme as Corsicans excel in crafting their cured meats. Free-range pigs raised on foraged foods found on the island will one day make fiagatellu, smoked dried pork liver sausage, capicollu, a neck and shoulder cut, lonzu, a salt and peppered pork fillet, and prisuttu, cured ham, a Corsican favorite. Seafood cannot be missed, and Corsicans know how to prepare their fish well. 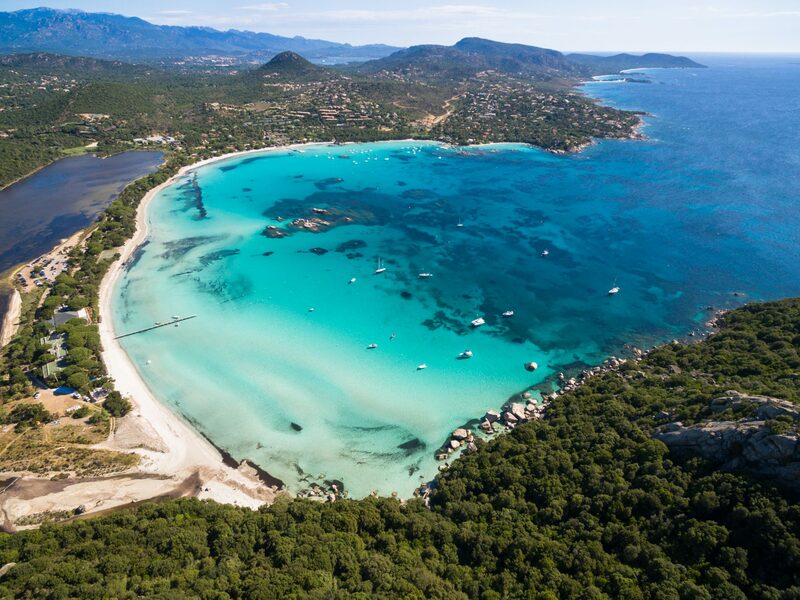 Red mullet, sea bream, trout, eels and oysters are just a few native fish found in Corsica’s streams, rivers and lagoons. The Italian influence is heavily evident in Corsican food—raviolis, cannelloni, gnocchi, and the love of cheese derived from cows and goats fills the bellies of locals and tourists alike. A holiday in Corsica can arguably be done for the food alone. Hike off the meats and cheeses you’ve profusely stuffed yourself with on a trip to the Scandola Nature Reserve within the Corsica Regional Park. You can reach the reserve by boat from Calvi or Porto. Let the cloudless, pale blue Mediterranean sky hang above you as rock formations litter the coastline. If the timing’s right, dolphins will make friends with your boat, guiding you in. And if you’re especially lucky, you’ll see ospreys – thanks to a miraculous effort made by conservationists. When the sun sinks, the dimming rays ignite the rocks aglow, and a calming, fiery dusk settles over the island. Travel south to Bonifacio, the largest commune at the southern tip of Corsica. From here, you can reach the Archipelago of Lavezzi, a cluster of small granite islands and reefs in the Strait of Bonifacio, which separates Corsica from Sardinia. The sight of its scattered pink rocks and tall ships lazily drifting in spots of sky blue waters is what makes the trip unlike anything else. The Marine Reserve of Lazezzi protects several species of rare animals, and the lone lighthouse of Lavezzi stands proudly on one of the small islands, guiding ships away from the rocky shores. Relax on Palombaggia, a beach famous for its flawless nature. Plush, pillowy sand lines and electric blue water lap against the passing boats donning candy colored sails. Palombaggia beach, like much of Corsica, is a protected nature site, and because of this, it’s pristine. The granite headlands enclose the beach, while it also faces the archipelago of Cerbiacle, so if you decide to open your eyes as you bask beneath the Mediterranean sun, the glorious scenery will be another feature to soak in. Challenge yourself with Corsica’s mountains and trails. Monte Cinto is the highest mountain on the island, Aiguilles de Bavella is a regional landmark graced with rock walls, pines as tall as the red granite peaks dot the hillsides, and King of Aragon staircase awaits your climb down to the sea. Maison Bonaparte, yes, the Bonaparte family home is cradled in the curve of island’s southwest shoreline, fully restored for your curiosity, and along the same area of interest is the Fesch Museum, established by Napoleon’s uncle. 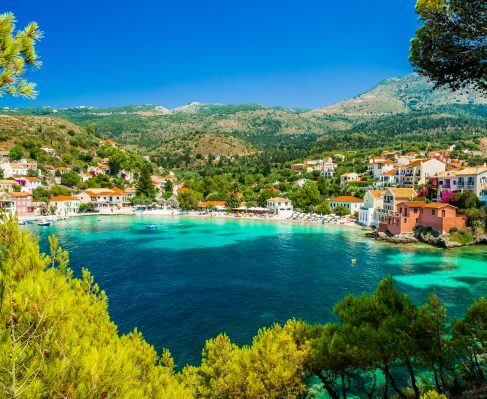 But don’t just tread on Corsica’s gorgeous coastline, travel inland to see its striking lakes, natural canyons, mountain passes with sweeping views, roaming wildlife, and a stop at the Corsica Museum, near the center of the island. The entire island is a nonstop sightseeing adventure. Walk through Foret d’Aitone, a forest that’s both welcoming and shrouded in mystery. 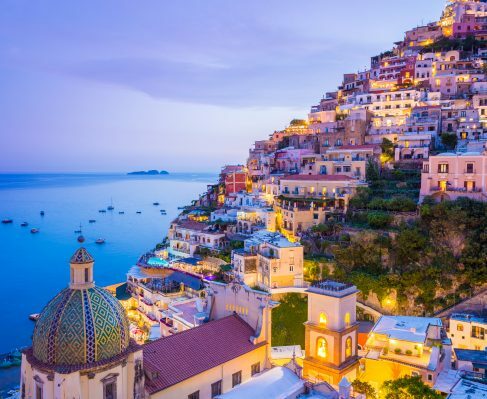 Surf at Capo di Feno, hike the high peaks of Lac de Capitellu, kitesurf and lounge on the beach at Pinarello, and spend a day boating along sunny, golden shores at Marine de Sant Ambroggio. Lighthouses, wildlife, villages serving fresh plates of lobster and fish, and turtle sanctuaries—it’s an island that revels in it all. Italian or French; high mountain peaks or flat, sandy coastlines; cooler breezes or steamy desert air; yes, Corsica is a land of divided decisions, but while you’re traveling this unique island, adopt this motto: choose both, choose everything—choose it all.